All retail merchandise from the previous store location in Anchorage was transported to the new, bigger facility in Midtown Mall within a few days. "Some of the gear was palletized and some of it was loosely stacked. REI even left apparel on the clothing racks and rolled them right onto the trailers," explains Northwest Regional Sales Manager John Husby. "The only thing we didn’t move were the lighting fixtures." John attended the store’s soft opening in January. "Everything was in the store and everyone was all smiles. "Lynden’s support for our relocation was invaluable to us," says Sarah Chadd, REI Logistics Supply Chain Analyst. Trucking a 75,000 lb spool? All in a day's work. This 75,000-pound tubing spool is headed north on the Dalton Highway via Alaska West Express. According to Project Specialist Steve Willford, this particular spool for customer Nabors Drilling was lighter than usual. The larger tubing spools are 15 feet in diameter and range in weight from 55,000 to 90,000 pounds, depending on the type of tubing. Alaska West Express has moved specialized coils, both on round spools and on more specialized work reels, with weights ranging from 100,000 to 120,000 pounds. The heavier spools are transported on lowboys with additional axles to distribute the weight. A yellow Piper PA-20 hangs from the roof of the Morris Thompson Cultural and Visitors Center in Fairbanks, Alaska. The plane brings back fond memories for those who knew the pilot. 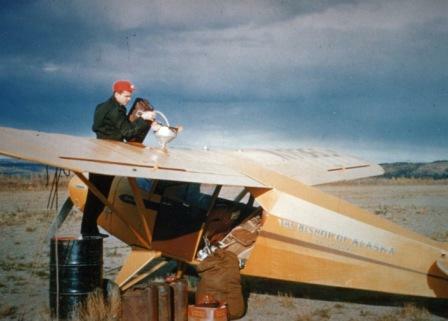 From 1948 to 1974, Episcopal Bishop Bill Gordon was known as Alaska's Flying Bishop. He earned his reputation by transporting supplies and people as he flew to villages and performed religious services. He married people, christened babies and saved lives by flying the sick and injured to hospitals. Last year, the plane was sitting in Juneau in need of a ride. 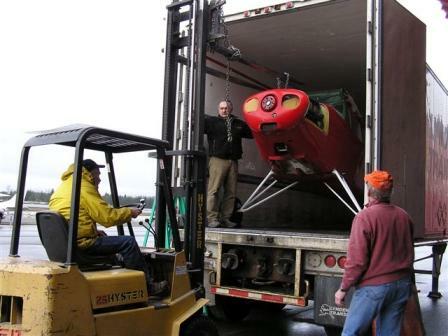 Lynden Transport offered to move it to Fairbanks where it could be restored to resemble the one flown by the late Bishop Bill Gordon. Shirley Gordon, Bill's 86-year-old widow, was there when the plane was lifted into place at the cultural center in Fairbanks. A dedication ceremony is planned this year. The Flying Bishop is immortalized in the book "Angel on his Wing" by Tay Thomas and the movie "The Light of the North" produced by the Episcopal Church. The movie shows Bishop Bill visiting Alaska missions in 1951. "From the Lynden Archives": This article was originally written in February 2010. 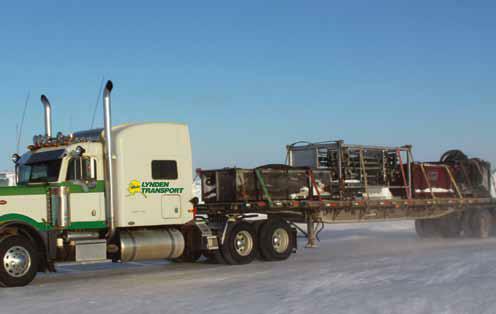 Lynden International was entrusted with some mighty important cargo this past fall and winter. The State of Alaska selected Lynden as the distributor for the H1N1 flu vaccine to various locations around the state. 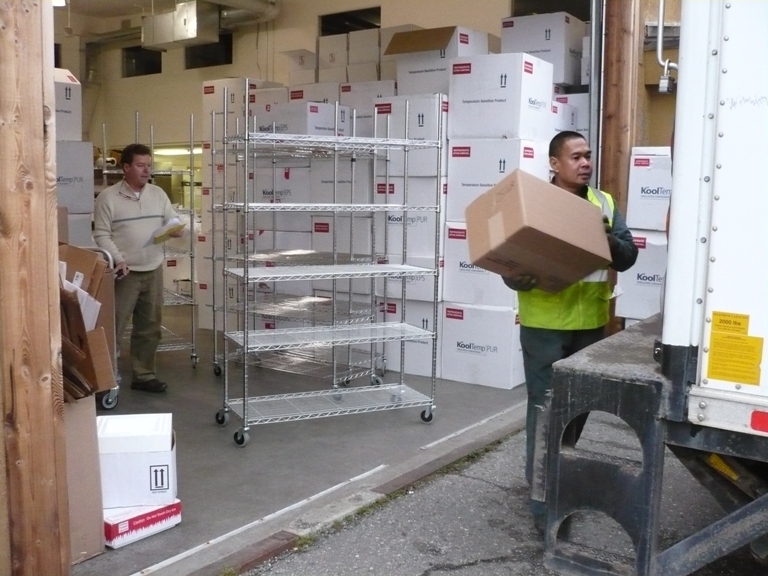 Since mid-October, Lynden has moved around 500 shipments of nine different types of vaccine. Handling the temperature-sensitive packages is a huge responsibility. 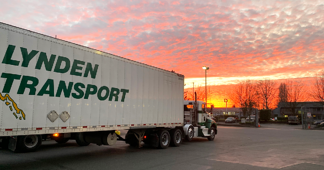 Lynden's knowledge of Alaska and its experience delivering to just about anywhere is paying off with not a single shipment late or missed. The distribution points range from larger cities where truck delivery is the norm to smaller villages where bush pilots deliver the vaccine to someone waiting on the ground. "From the Lynden Archives": This story was originally written in December 2009. 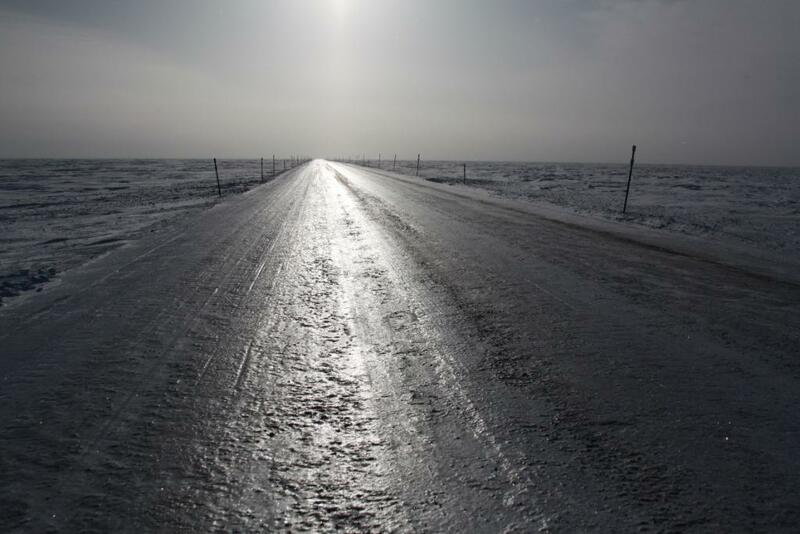 Video: "Alaska Hovercraft - Subzero temperatures, no roads, no excuses." Have you seen the video for Alaska Hovercraft (part of the Lynden family of companies)? They deliver mail and freight from Bethel, Alaska to villages in the Y-K Delta...over land, snow, or water! Note: Sorry for reposting this (it was originally posted a week or so ago), but the link to the video changed and I wanted to keep everyone up-to-date. Thanks! "Choosing the right freight shipping company"
Here is a quick list of the important points. If you'd like to learn more, you can read the full article. Choose a company that can help you balance delivery speed and cost. A shipper that can offer you the choice to ship by truck, ship by barge, or ship by plane can give you better cost/speed options. Check on a company's track record. Have they been around for a while (valuable experience)? What do their customers say about them? How helpful are their employees when you contact them? If you are shipping internationally, ensure that the company has experience and knowledge of the different laws and guidelines that exist abroad. The article also mentions shopping around for the best price. I would add that you should understand what the real cost of shipping is - it's not just the rate you are quoted. A lower price is not helpful if your freight arrives late or damaged. If the shipper is unreliable, how much time will you have to spend checking-up on your freight? Is the shipper experienced? If so, they likely can help provide advice on how to better or more cheaply ship your freight. Any tips you would like to add? Leave a comment below!